In May 2018, a well-known international chemicals plant commissioned EnviroChemie to design and build a wastewater treatment plant at one of its German sites with the aim of removing virtually all finely dispersed plastic particles with a hydraulic capacity of up to 1000 m³ per day. The manufacturer of plastic raw materials operates several plants within Europe, some of which already have their own wastewater treatment plants. For the German site, a brand new wastewater treatment plant is set for completion by the end of 2019. This will incorporate a new process concept from EnviroChemie, which is based on a Flomar® HL high-performance flotation plant. The process was developed by EnviroChemie within its own process engineering laboratory, and it has won over the customer with its ability to remove up to 99% of the solid microplastic. 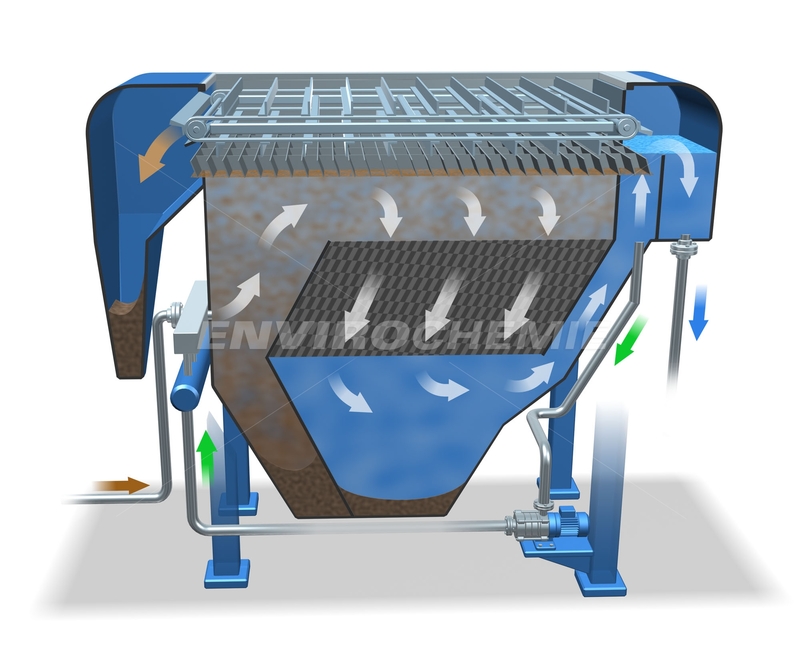 Once separated out, the material is extensively dewatered in a chamber filter press before being recycled to ensure there is zero waste. The wastewater treatment plant is largely automated and designed to cope with huge fluctuations in the inflow – for example, in terms of the water quantity or solid content. Furthermore, EnviroChemie will also be introducing a highly compact exhaust air system based on UV ionization to prevent the formation of odours to the greatest possible extent. The wastewater pretreated in the new wastewater treatment plant is then cleaned on site in an existing biological wastewater treatment plant. The plastic manufacturer is specifically investing in the sustainable further development of its facility. In doing so, it aims to improve its environmental footprint significantly in terms of both water quality and waste prevention.